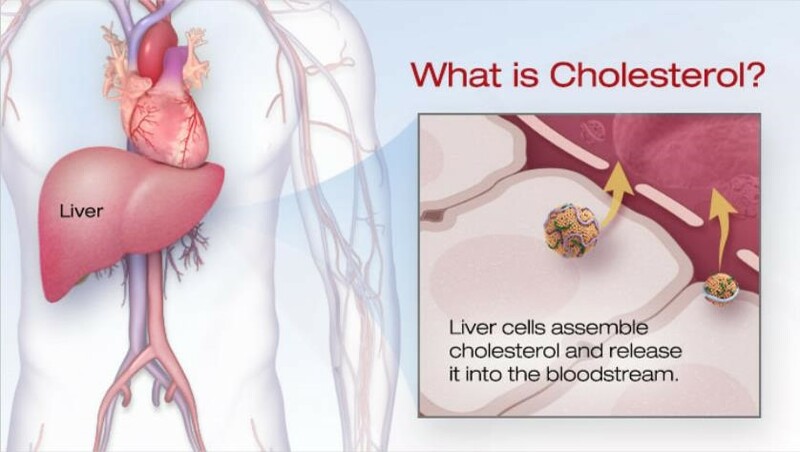 Cholesterol isn’t just something that sits in your body like fat around your waist. It’s carried through your bloodstream by carriers made of fat (lipid) and proteins. These are called – no big surprise – lipoproteins. 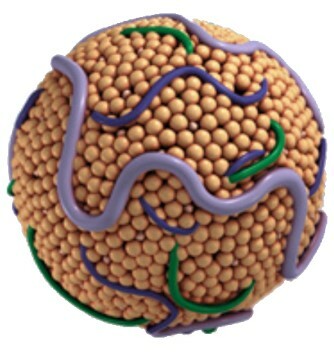 Two types of lipoproteins carry cholesterol to and from cells. One is low-density lipoprotein, or LDL. 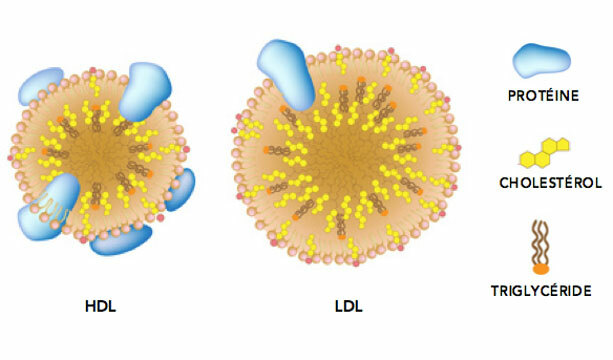 The other is high-density lipoprotein, or HDL. The amount of each type of cholesterol in your blood can be measured by a blood test. 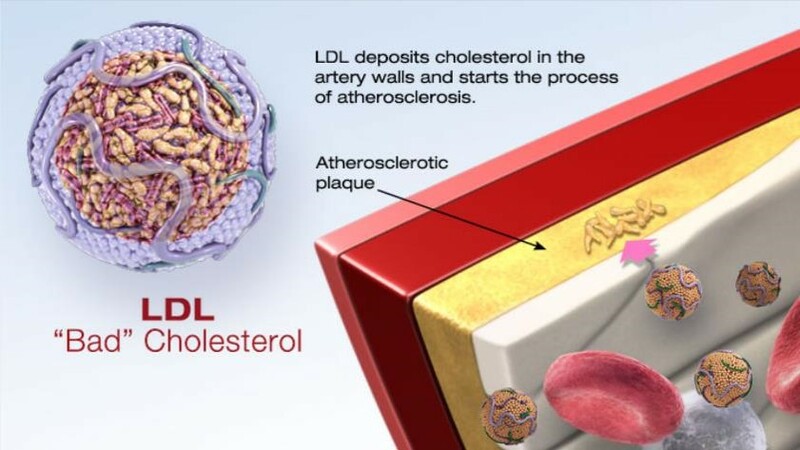 LDL cholesterol is called “bad” cholesterol. 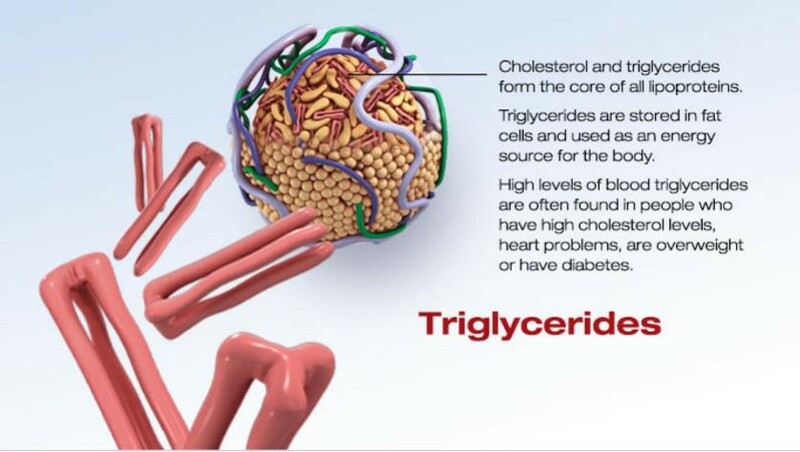 Think of it as less desirable or even lousy cholesterol, because it contributes to fatty buildups in arteries (atherosclerosis). 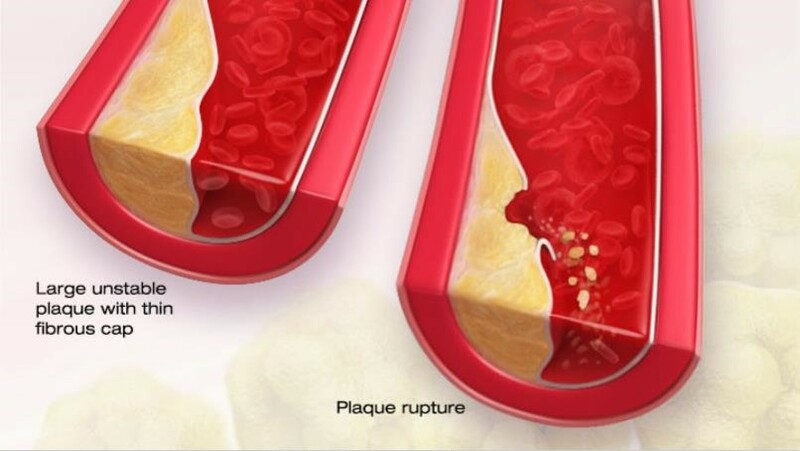 Plaque buildups narrow arteries and raise the risk for heart attack, stroke and peripheral artery disease. 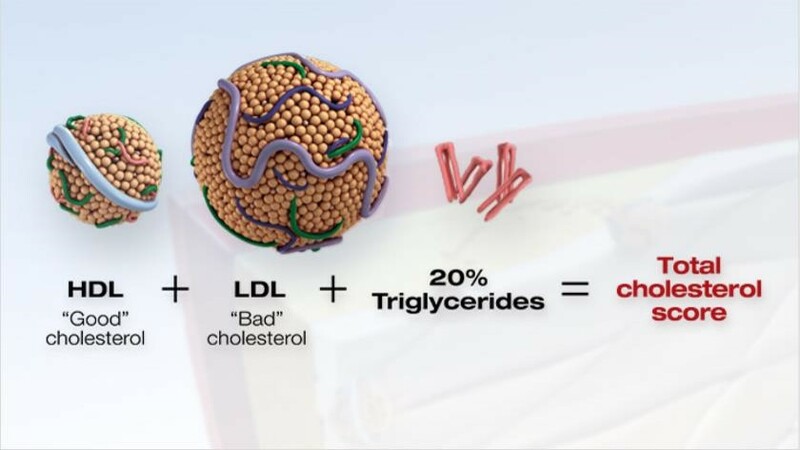 HDL cholesterol is “good” cholesterol. Think of it as the “healthy” cholesterol, so higher levels are better. 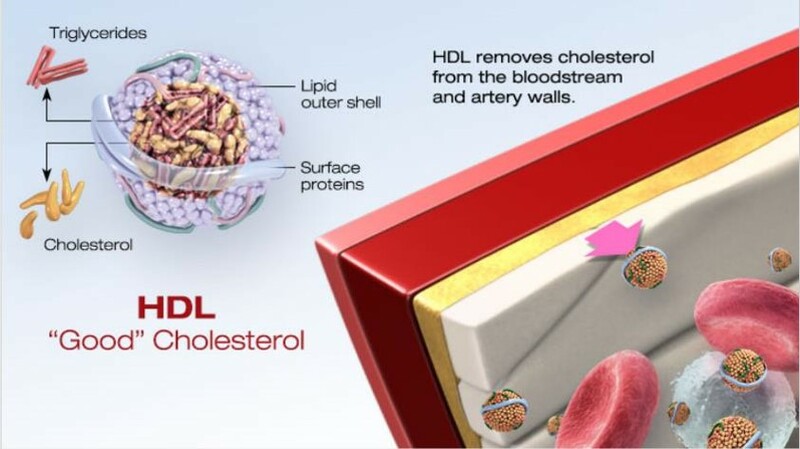 Experts believe HDL acts as a scavenger, carrying LDL cholesterol away from the arteries and back to the liver. There it’s broken down and passed from the body. Coronary artery disease (CAD) occurs when the inside (the lumen) of one or more coronary arteries narrows, limiting the flow of oxygen-rich blood to surrounding heart muscle tissue. Atherosclerosis is the process that causes the artery wall to get thick and stiff. It can lead to complete blockage of the artery, which can cause a heart attack. 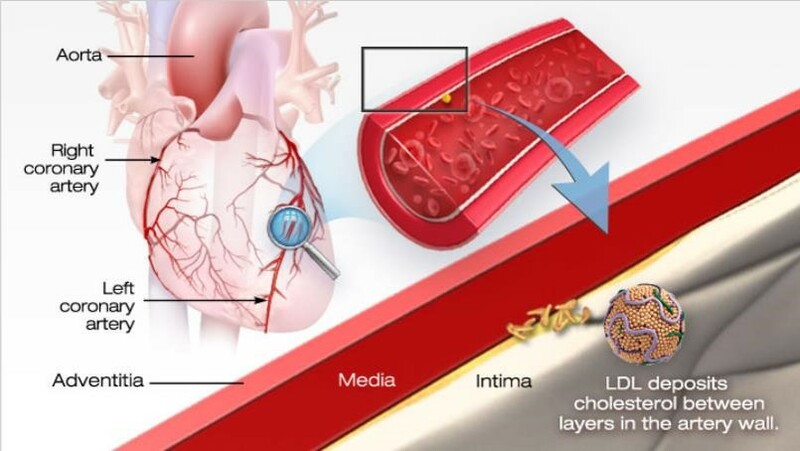 The disease process begins when LDL (“bad” cholesterol) deposits cholesterol in the artery wall. 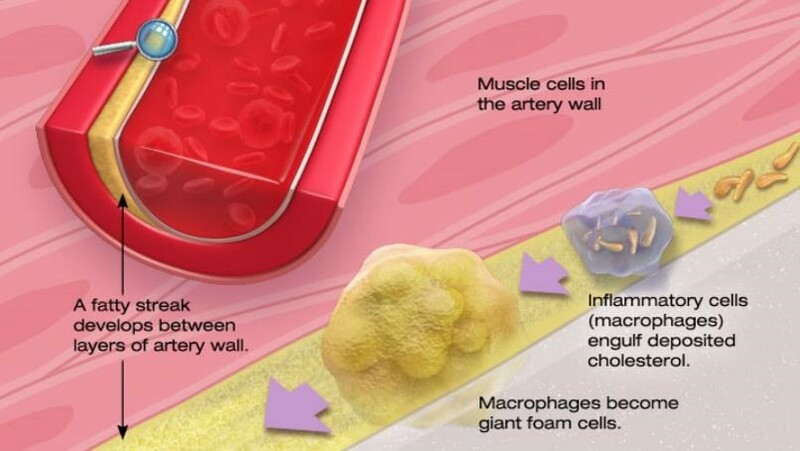 The body has an immune response to protect itself and sends white blood cells called macrophages to engulf the invading cholesterol in the artery wall. 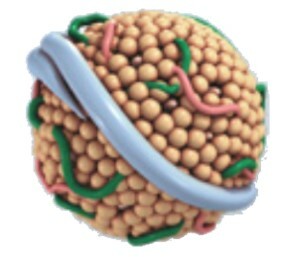 When the macrophages are full of cholesterol, they are called foam cells because of their appearance. As more foam cells collect in the artery wall, a fatty streak develops between the intima and the media. If the process is not stopped, the fatty streak becomes a plaque, which pushes the intima into the lumen, narrowing the blood flow. The plaque develops a fibrous coating on its outer edges. 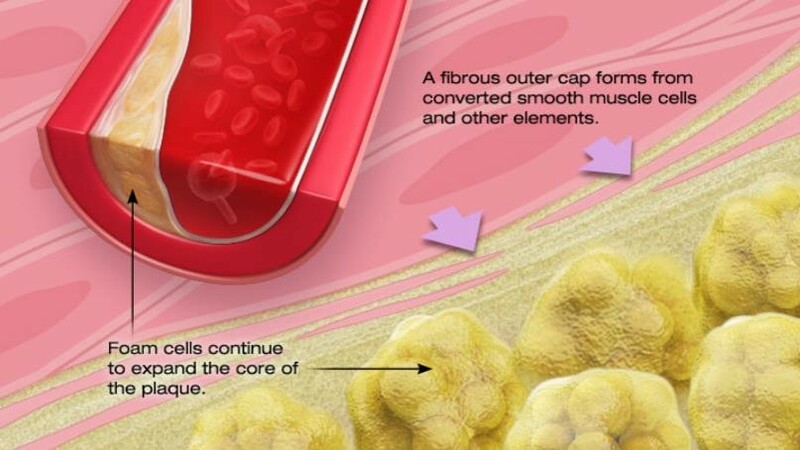 But if cholesterol continues to collect in foam cells inside the plaque, the fibrous outer coating can weaken and eventually rupture. Smaller arteries downstream from the rupture can quickly become blocked. Over time, a clot may develop at the rupture site and completely block the artery. 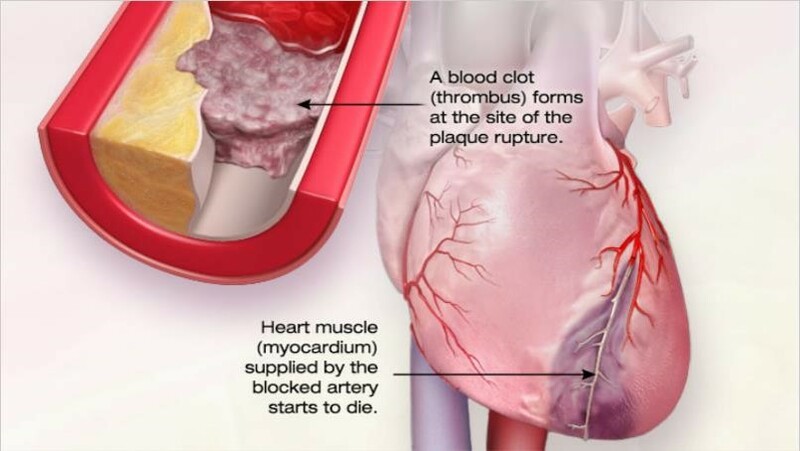 A myocardial infarction (heart attack) occurs when the heart muscle tissue does not receive vital oxygen and nutrients. Sign up and be the first to learn about the launch of our new products, receive discount codes and much more. Vitellus captures the natural benefits of egg yolk extracts in evidence-based supplements and cosmetics to support your health and vitality. Copyright © 2018 Vitellus. All rights reserved.